On the 17th January 2017, the Water JPI launched the Coordination and Support Action IC4WATER dedicated to the development of international cooperation in the Water area. IC4WATER plans to elaborate new principles of international transnational research and innovation cooperation through concrete joint programming. It will in particular focus on the theme of UN Sustainable Development Goals (UN SDGs) related to Water challenges: Within the new post-2015 development agenda, the place of water-related issues has been further strengthened. 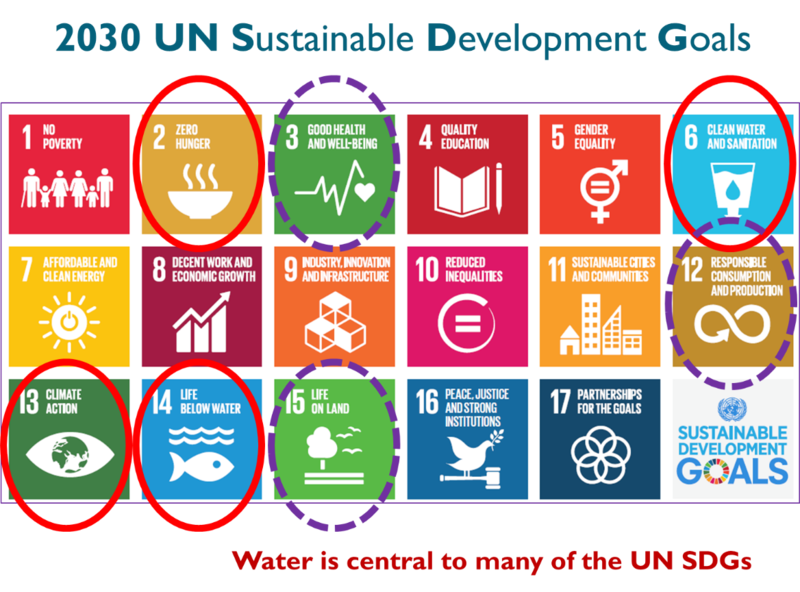 Indeed, water is at stake not only in Goal 6 to “Ensure availability and sustainable management of water and sanitation for all”, divided into seven specific targets, but in almost all of the 17 SDGs. The action is pooling resources of 19 partners in total, including 18 participating research programme owners / managers of 17 European countries and the Water Supply and Sanitation Technology Platform (WssTP). A strengthened role of the Water JPI for underpinning knowledge and evidence for supporting the implementation of related international & EU policies, and for fostering the EU’s position in global water-related negotiations and fora. This action will be coordinated with key European and international partners in order to avoid overlap, ensure information flow and foster a multiplicative effect of international cooperation activities for all involved. Associated European Partners: FACCE JPI, JPI Climate, JPI Urban Europe, EurAqua, and Joint Research Centre. Objective-6. Supporting the Water resources management Policies, in particular the post-2015 sustainable development agenda with the UN SDGs’ implementation (All WPs). A strategy for developing the Water JPI network at the international level and will facilitate its implementation in a systematic and strategic way to address the Water JPI vision. A Public – Private Partnership for research development and implementation, with key economic sector representatives, such as the WssTP, to increase the development of research and innovation programmes and the take-up of research on water challenges. A new Knowledge Hub related to international water challenges aiming at establishing a critical mass of research and technological excellence, through integration and sharing of knowledge, infrastructures, data and modelling tools, training and capacity building, in addition to improving communication and networking with different stakeholders’ communities. Joint Actions on UN SDGs for implementing the Water JPI Strategic Research & Innovation Agenda (SRIA 2.0) in the context of the UN SDGs, including a Joint Transnational Call. More information on the Water JPI 2017 Joint Call are available here. A Global Impact Assessment method, integrating the impact assessment of the IC4WATER project in the context of the Water JPI activities, leading to an impact assessment method of the JPI network, to be discussed and adopted by the Water JPI Governing Board. The CSA IC4WATER will come to an end in 2021.